In this installment of our Journalists@Work series, we talked to Kem Sokunthy (Kunthy), a radio producer from Cambodia. In April 2013, Kunthy participated in the radio workshop “Inclusion of people with disabilities” held by DW Akademie and the Women’s Media Centre of Cambodia (WMC). Kunthy studied literature, education science and political science at different universities in Phnom Penh. During her studies, she also gained journalistic skills at the Cambodian Ministry of Information. These days, Kunthy works for WMC Radio FM 102, which produces educational programs designed for all sectors of Cambodian society, especially women in rural areas. 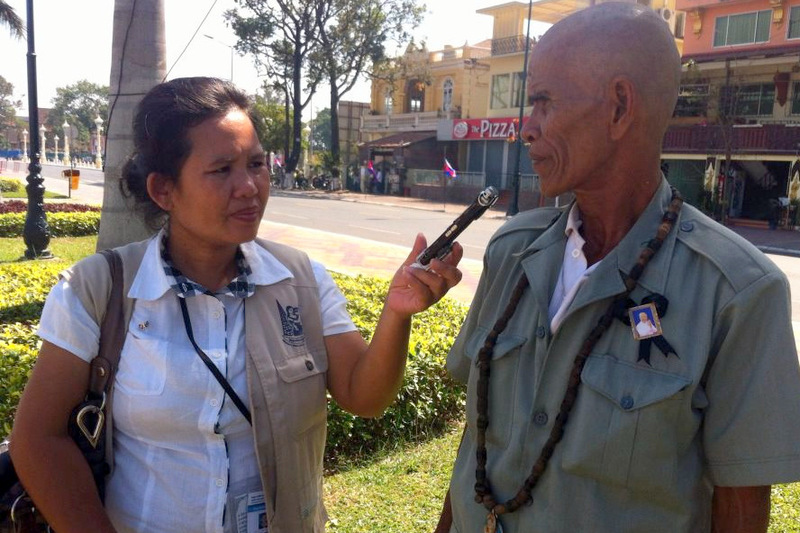 In this blog post, she gives us some insight into her work as a journalist in Cambodia. In many societies, people with disabilities are pushed aside – be they mentally challenged or physically impaired. Some of them have to beg for money in the streets, others stay out of sight or are even locked away. The Cambodian media don’t often deal with the lives of the disabled. One reason may be shyness or ignorance on the part of the journalists about the life of people with disabilities. But two recent television training workshops have helped improve the way journalists portray people with disabilities in the media. They were jointly organized by DW Akademie, Germany’s GIZ and the Women’s Media Centre of Cambodia. A series of blasts have hit churches and hotels in and near the Sri Lankan capital, Colombo. It is the worst violence in the country since its decades-long civil war ended in 2009. Hundreds of people have been killed in coordinated attacks in Sri Lanka, with many hundreds more injured. Here's what happened, as it happened. With the defeat of Tamil separatists in 2009, Sri Lanka had somewhat managed to rein in violence. But experts say that various conflicts continued to plague the country, and these could have triggered the Easter blasts.